Down from the North came the quiet white. Softly, gently, in the secret night. 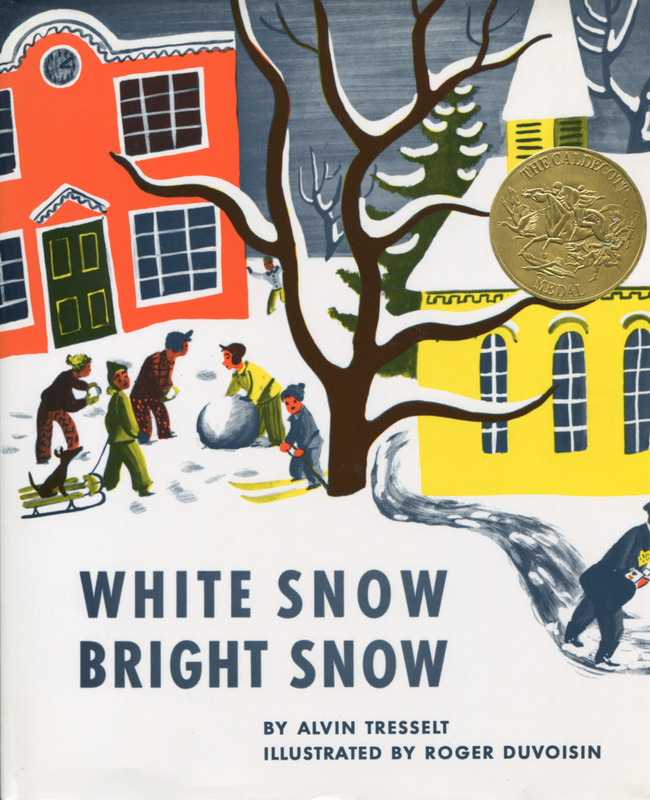 When the first flakes fell from the grey sky, the postman and the farmer and the policeman and his wife scurried about doing all the practical things grownups do when a snowstorm comes. But the children laughed and danced, and caught the lacy snowflakes on their tongues. 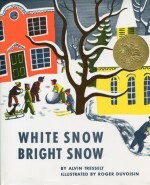 All the wonder and delight a child feels in a snowfall is caught in the pages of this book—the frost ferns on the window sill, the snow man in the yard and the mystery and magic of a new white world. Roger Duvoisin’s pictures in soft blue halftones with brilliant splashes of yellow and red emphasize the gaiety and humor as well as the poetic quality of the text.